English balloonist whose outstanding achievement was his flight with two companions in 1836 from Vauxhall Gardens, London, to Weilburg, Germany, a distance of 480 miles. Green’s 18-hour trip set a long-distance balloon record for flights from England not beaten until 1907. He was accompanied on the flight by Monck Mason and Robert Hollond, who financed it. 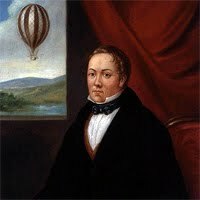 Green had earlier introduced coal gas (1821) as a cheaper substitute for hydrogen, a practice thereafter followed by most balloonists. He planned, but never attempted, an Atlantic crossing. The small working model of his proposed balloon, flown in 1840, incorporated the first mechanically driven propeller ever to power an aircraft.